2018 – 2019 First Trimester Honor Roll. Congratulations! Telemundo covers Rhode Island Food Bank getting a grant – Segue highlighted! Help Segue by shopping at Amazon through this link! It won’t cost you extra money. All items and prices are the same. 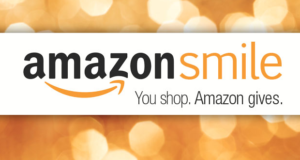 Shop on Amazon by clicking the picture below and Amazon will donate 0.5% of the price of your eligible AmazonSmile purchases to Segue! Students dismissed at 1:30 PM. The mission of the Segue Institute for Learning is to foster a community where students take ownership of their education. Segue scholars receive a rigorous academic experience that prepares them to excel in the high school and eventual college setting of their choice. At Segue, we believe that all of our students are AT PROMISE, versus being labeled At Risk. The Segue Institute for Learning is a safe and nurturing environment which promotes diversity, encourages individual growth and allows students to view themselves as citizens of change in their homes and community. Copyright © 2019 Segue Institute for Learning. All rights reserved.